Join now and apply to the newest season of the /r/Survivor Discord's official ORG - SurvivORG: VanuORGtu! Accepting all new players and is set to begin on March 22nd, 2019! See if you can survive a gauntlet of volcanoes and other natural disasters now! Did that actually mean anything ? What is Wardog's real name? I really hope it's like "Clarence" or "Percy". Hello. I’m Mark Ronson and my video for Late Night Feelings is out now. AMA!! hi, as a fellow survivor and pophead. 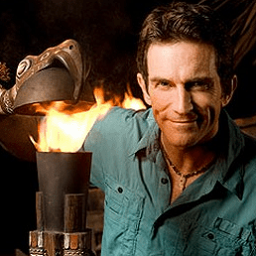 Two Former Survivor Winners To Feature On Season 39? The Chekhov's Gun of players. There's no way they can just be advisors, right? Don't know who greenlit this idea.. Like I don't even know if it will work or not, it just seems so weird and random - and opens more questions than it answers. have you seen the MLS standings lately? Hey we won our first game last week. And have yet to play each other this season. My post is clearly about the rock band Survivor. Yes, that is true, however this subreddit is dedicated to discussion about the CBS show Survivor, which airs on Wednesday nights. You can find discussion about Survivor the band at https://reddit.proxyof.info/r/survivortheband. Hope that helps! Off-topic: Posts not related to Survivor are subject to removal. If you feel this was done in error, or would like further clarification, please don't hesitate to contact the mods by replying to this message. Anyone want to do a Phish Tour Survivor type thing? Survivor is always fun - check out /r/Survivor! Also that's a great idea!